Dear musicians of Mojo City! Tomorrow, July 12th is a birthday of great Russian rockstar, Valery Kipelov. A tribute concert will be held in his name in the Concert Hall. Valery, being a fan of music in general, doesn't mind members of any style to participate in the contest to win the sympathy of Mojo City citizens! Starting with the next redistribution of Conert Hall (in 15 hours) we encourage all the musicians to fight for the dominance in the Concert Hall! The winners will be determined with the next redistribution after the contest begins. All the members of Top-5 bands will receive 250, 200, 150, 100 and 50 stars for 1, 2, 3, 4 and 5 places accordingly. Amongst all the players of ANY LEVEL, who manage to get exactly 120,758 (12.07.58 is Kipelov's birth date) dominance points, three randomly picked players will receive OilBubble +5. If the player already has OilBubble +5 or above, they'll get the Ring of Power +5 instead. Amongst all the players of LEVEL 16 AND BELOW, who manage to get exactly 13,706 (7*1958) dominance points, three randomly picked players will receive OilBubble +3. If the player already has OilBubble +3 or above, they'll get the Ring of Power +3 instead. Amongst all the players of LEVEL 9 AND BELOW, who manage to get exactly 4872 (12*7*58) dominance points, three randomly picked players will receive OilBubble. If the player already has OilBubble, they'll get the Ring of Power instead. The Ring of Power drastically increases its owner's parameters and lasts for 30 days. 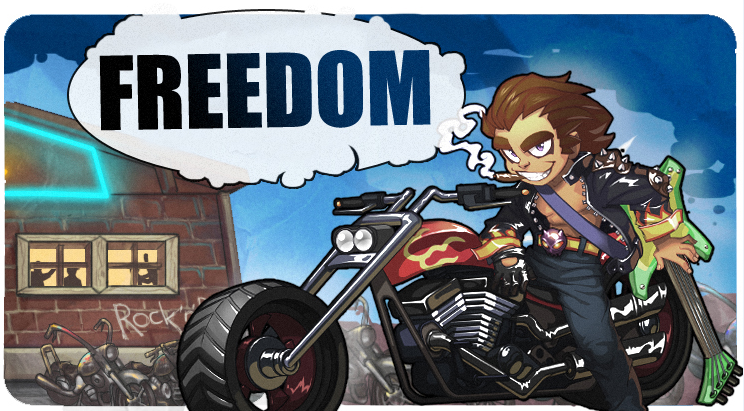 Dear players, we congratulate the winners of "Freedom" contest, the bands My War, V Xlam, Veni Vidi Vici, Black Lotus, Rock and Pop idols have won the Top-5 ranks and will receive their prizes within a day. Unfortunately, no players were able to fulfill the bonus part and noone has won OilBubble or Ring of Power. Thus we've decided to prolong the contest, this time in Necropolis district. The terms are exactly the same, but the time's longer: 2 days 11 hrs. Amongst all the players of ANY LEVEL, who manage to get exactly 120,758 (12.07.58 is Kipelov's birth date) dominance points, three randomly picked players will receive OilBubble. If the player already has OilBubble or above, they'll get the Ring of Power instead.